Depression isn’t just sadness, and you can’t just pull yourself up by your bootstraps. 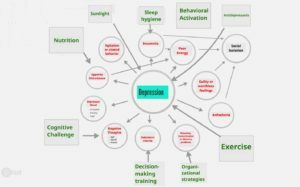 However, there are a number of things you can do to fight depression. Exercise is essential, and so is sunlight. Cognitive Restructuring is one of the most researched techniques for improving mood, as is behavior activation. 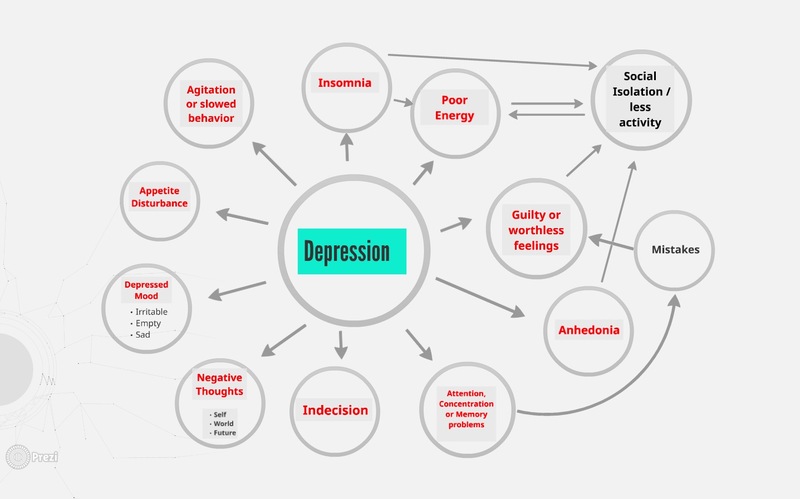 Learn more about depression symptoms and treatment. 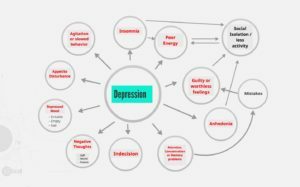 National Institute of Mental Health (NIMH) Depression Information. 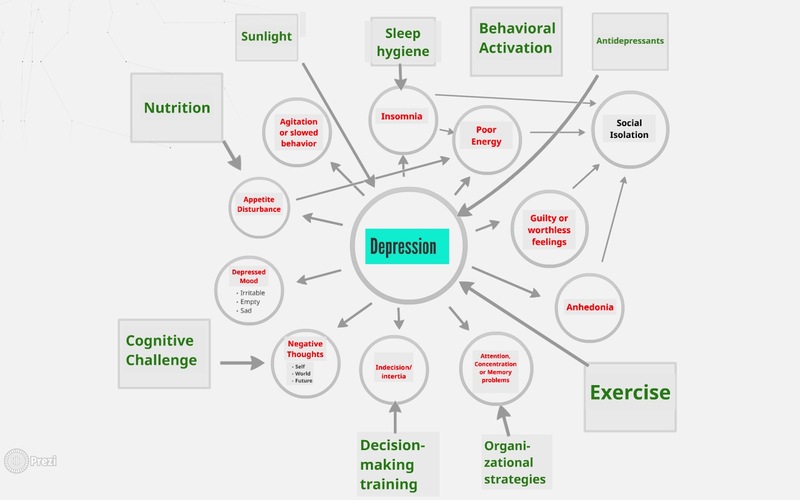 Check out the Depression Diagram. The first page shows common symptoms of depression, and the second shows the scientifically-validated intervention components for depression. In Bipolar Disorder, periods of depression alternate with periods of abnormally energetic moods. Treatment with medication is essential in bipolar disorder, as is counseling. Mood monitoring can help with both the diagnosis and treatment of bipolar disorder. Techniques that help with depression also help with bipolar disorder.